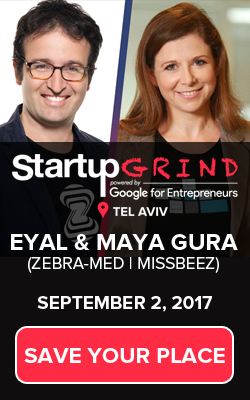 Each event which Startup Grind Tel Aviv is hosting, is accompanied by a startup competition. The Startup Grind Tel Aviv team is choosing in advance three startups who get the chance to pitch their idea. The attendees will then vote their favorite startup, and the winner will be promoted by the Startup Grind Tel Aviv Team via all social media channels. Register with us and book your seat today!